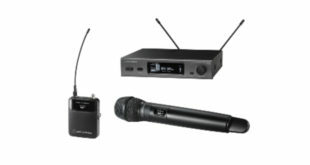 Lectrosonics has announced its new digital wireless monitor (IEM) system, the Duet. 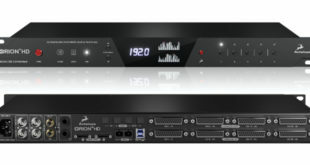 Consisting of the M2T dual-stereo half-rack transmitter and M2R diversity belt pack receiver, the Duet covers the UHF frequencies of 470-608 MHz in a single range, uses digital modulation for transmission, and can accept analogue or Dante digital inputs. The system is designed and developed with professional touring, installation, theatre, filmmaking and broadcast customers in mind. The M2T half-rack transmitter houses two independent stereo transmitters allowing for up to four stereo or dual-mono transmissions in a single rack space. 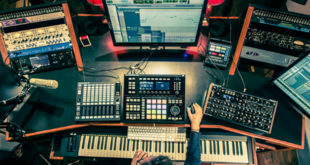 The audio inputs can be individually configured to be analogue or Dante compatible. The analog input connectors are full size XLR/TRS combo types for balanced line level analogue signals while the input preamp circuits use a special balanced amplifier with very high common mode rejection to minimise hum and noise. 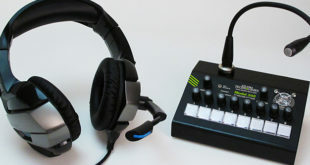 Additionally, a Dante Ultimo interface via dual RJ45 connectors accepts Dante networked audio inputs and can cascade the digital stream to additional units via CAT6 cables. An additional RJ45 jack provides an Ethernet connection for programming and control via Wireless Designer software and a USB jack on the front panel allows for firmware updates. The transmitter features a full colour, backlit LCD while the chassis is all-metal and can be racked singly or in pairs using included rack mount hardware. 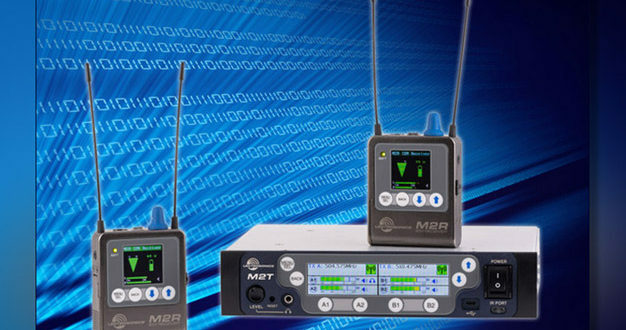 The M2R bodypack receiver employs advanced antenna diversity switching during digital packet headers along with a 24 bit digital audio stream. The headphone jack is fed from a high-quality stereo amplifier with 250 mW available to drive headphones or earphones to sufficient levels in noisy environments. The receiver runs on two AA batteries for an operating time of over 4 hours with alkaline cells. Both the M2R and M2T units have 2-way IR sync, so scan data from the receiver can be sent to the transmitter and thus onto the Ethernet network for use by Wireless Designer software for frequency planning and coordination purposes. Additionally, the system includes a FlexList mode, where a number of names and associated frequencies can be stored in the receiver. This way, a monitor engineer can quickly find and listen to any of the performers’ mixes on the stage. The first public showing of the Duet IEM system will be 24-27 April at the NAB show, on the company’s booth C3322, and will be available in the third quarter of 2017.